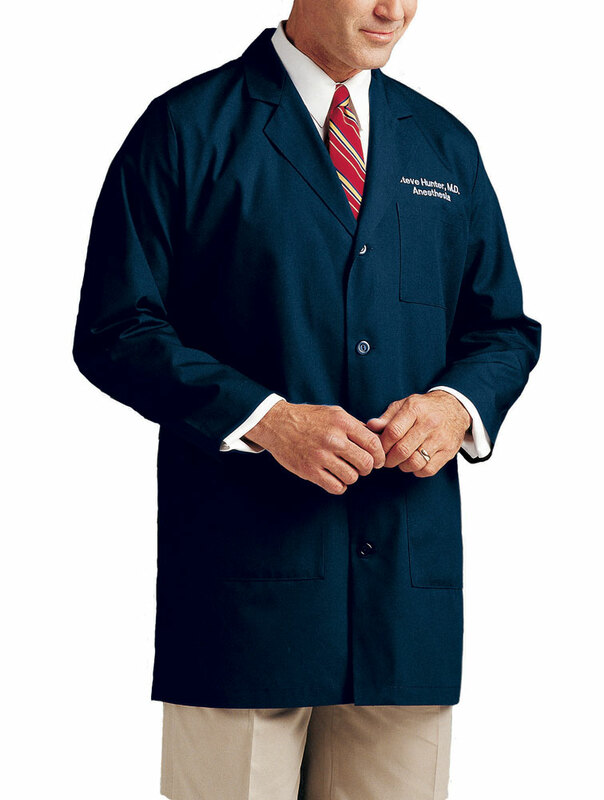 Men's tailored style lab coat. Four button closure, belted back stitched over pleats, three front pockets and side hand access. 65% Polyester/35% combed Cotton poplin. 65% Polyester/35% Combed Cotton twill. Medium length: 35" (size 40).